Having to learn a new set of gardening rules. 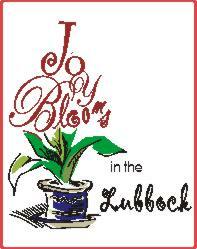 Finding the Secret to Growing Tomatoes in Lubbock - Tomatoes or Nothing! Gardening Report 2012: Much to my dismay - I didn't make a single tomato from the 9 transplants in 2012. My gardening buds tell me that it is difficult to grow tomatoes in Lubbock. How can that be? I had bumper crops in Denver. This vine plant is fairly easy to grow and will produce a bumper crop with proper care. Its uses are versatile, however, tomatoes are susceptible to a range of pests and diseases. Determinate tomatoes basically grow to a pre-determined height (non-vining, if you will). Once they set fruit, they pretty much stop growing. Indeterminate tomatoes are vining tomatoes. They continue to grow throughout the season and will produce new shoots and blossoms. They produce fruits until frost. Tomatoes can be transplanted outdoors after the danger of frost has passed. They need at least six hours of sunlight. Daddy transplanted around Good Friday or waiting until May is a good bet. Dig a hole that will accommodate two-thirds of the plant. I watch by Daddy plant his tomatoes on their sides. Both methods encourage more roots to form. The tomato plant will thank you by becoming stronger & more productive above ground. Mix fertilizer or compost in the bottom of the hole. Buy two-thirds of the plant. Fill the hole with water and then cover with soil. Many gardeners, including me, apply Epsom salts around Tomato plants. It makes for a greener and bushier plant; it enhance production of healthier fruit; and it may help reduce blossom-end rot. The formula is to add 1 tablespoon Epson Salt for each foot of height of the tomato plant and mix it into the soil around the base of the plant. Apply Epsom Salt every 2 weeks or so. Epsom salts is available in drug and grocery stores. Why it works: Epsom salts are magnesium and sulfur. The plant uses them to increase growth and vigor. Epsom salt does not build up in the soil and is an organic alternative to chemicals. Deep watering is the key. Tomatoes like their watering to be consistent - don't let them dry out. Mulching during the summer will help retain moisture. Here's a trick: Daddy placed flat rocks next to each plant. He said that the flat rocks pulled water up and made the tomatoes happy. I planning to put red plastic mulch down. Once fruit appears, fertilize two weeks prior to first picking and again two weeks after first picking. Suckers are the stems that emerge between the main stalk and branches. The can be plucked or left alone. It is really a matter of personal preference. So don't fret over it. If you leave them they will produce fruit. If you pluck them the plant will produce more fruit. Either way production is increased. I tend to be a plucker. Some advocate putting green fruit ripe in a paper bag with the stem up and store them in a cool, dark place. Daddy never put them on a windowsill to ripen. He said that they would rot before they are ripen. Before the first hard frost, pull up the plants with fruit and hang the plant by its roots in the garage. Enjoy the fruit as they ripen. To preserve the garden-fresh-picked flavor, do not store them in the refridge. Store at room temperature because cool temperatures cause them to lose flavor and textures. It is possible to freeze raw tomatoes. They may be frozen with or without their skins. Frozen tomatoes are best used in cooked foods such as soups, sauces and stews. Sorry can't slice them for a sandwich.